Our place is super close to everything. We have some amazing Cafes and Restraints down the road. Public transport out the front of our place and we have the beach down the road one way and the city the other. Your future room includes, good quality queen bed, chest of drawers, closet with mirror and nightstand. Completely carpeted. It's a great department, we're lucky to live in it. IIt has great space for 3-4 people, it is very comfortable. and quiet. The building is relaxed, quiet place. It is not necessary to use heating on cold days or fan on hot days, it has enviable ventilation, it is really a well thought out apartment. We care about maintaining a clean and decent place to live, so we care about maintaining daily order and cleanliness along with a deeper cleaning once a week. The building has a swimming pool. We share our netflix account with you and a very good internet speed (unlimited, of course) included. 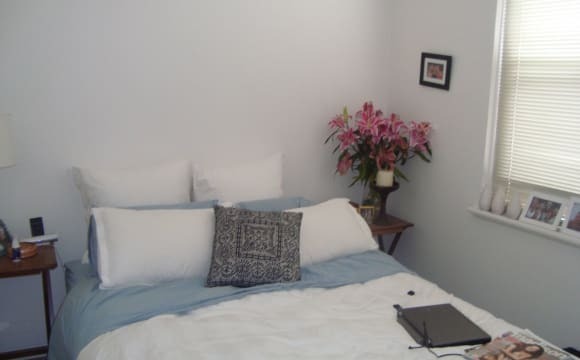 A beautiful peaceful fully furnished (except bedroom) apartment in Clovelly/Randwick. The apartment is light and airy, has 2 bedrooms, modern fully equipped kitchen, modern bathroom with bathtub, polished floorboards and large balcony. Surrounded by loads of handy bus stops, cafes, pubs and shops. Its a 10 minute bus ride into Bondi Junction, 20 minutes into the City and a 12 minute walk to the beach. 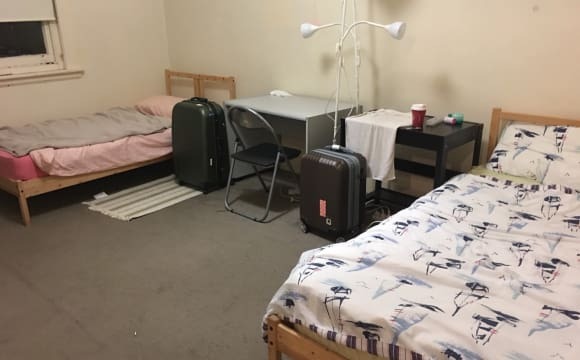 Bed in shared girls’ only room available in a super convenient Randwick. Part of a 2 large bedroom apartment with balcony, pool and washing/drying facilities. Close to buses (and soon the tram), centennial park, convienience store, TAFE, UNSW Randwick, walking distance to Randwick Junction, supermarket, UNSW, hospital. Room includes desk, draws, storage and Clothes rack. 2 bathrooms, 1 with toilet, sink, shower and bath and one downstairs with toilet only. $140 per week for minimum 2 months. 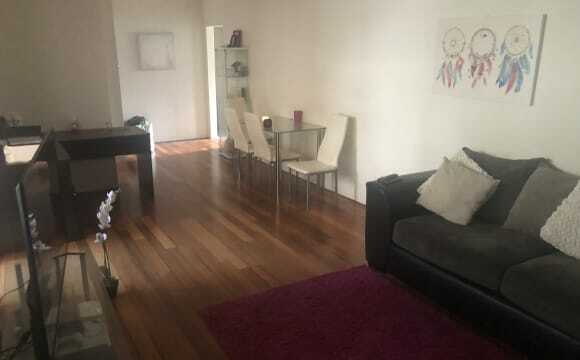 A lovely sunlight 2 bedroom renovated apartment located in the heart of The Spot, available to share with a professional on the go female to have a laugh with and enjoy a vino or two. An affordable entry to one of the East's most popular beachside locations, it's moments to The Spot, Coogee's cosmopolitan cafe culture, ocean pools and scenic coastal walks. Public transport is on your doorstep - the X73, and X77 go direct to the city - 10-15 minutes, along with options to Central Station and Bondi Junction. Accommodation - fresh contemporary interiors feature two double bedrooms, bright and airy living space with polished parquet floors and carpet throughout along with stainless steel appliances in the kitchen and a brand new bathroom. The room is large and includes built ins with the apartment furnished. There is also a secure outdoor car space to share between the apartment. Rent + some bills including electricity + WiFi (water, gas is covered). Long term applicants only. 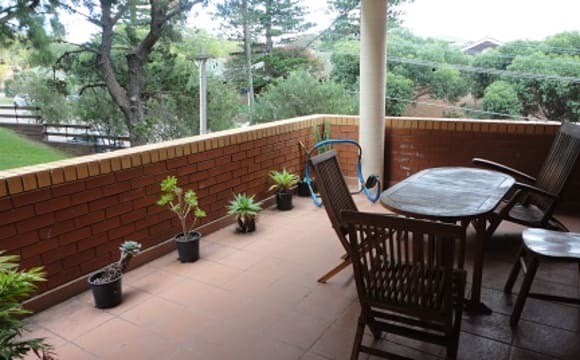 Short walk to UNSW, Hospital, Shopping Centre, Restaurant, Coogee Beach &amp; Bus Stop/ Light Rail. Included Electricity, Water &amp; Internet. 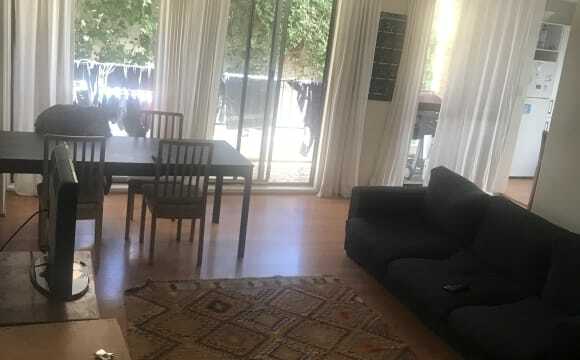 78 Belmore Rd, Randwick One share room for 2pp One share room for 2pp One own room Every thing including the rent wifi as well No minimum stay 2weeks notice when you move out If you want to live with friends also good. Flat will be unfurnished - open to what you have! Bigger room, available - I’m not fussed. Lock up garage w storage also available. Bills not included in rent..
Large established federation semi detached home in a prime location, walking distance to Queens and Centennial Parks as well as Bronte, Clovelly, and Coogee beaches. Quiet neighbourhood, leafy streets, friendly neighbours and safe. Small front/ back yard, low maintenance but enough green space to satisfy a green thumb itch. A gorgeous, house trained dog ready to be loyal to whom ever displays her the same quality! Cafes and restaurants all around, 15 mins walk to Bondi and Randwick Junctions. Hi there, Thanks for checking out my listing as a potential new housemate. A cosy and warm/inviting home with unlimited wifi, big comfy lounges, split system air in lounge and a large flatscreen TV and the back room has been converted into an office space. This is a long term and stable home. I am looking for a female only. This is in a quiet leafy Street in Randwick. Please note that males and couples will NOT be considered. This is a very quiet and respectful home. I rarely have guests over. I like to be home and relax in my personal space. I would appreciate the same. I do not wish to live with "couples". I appreciate if you have someone you would like to have here a night or 2 here and there. But please note that this room is for a single person to share this home with me. 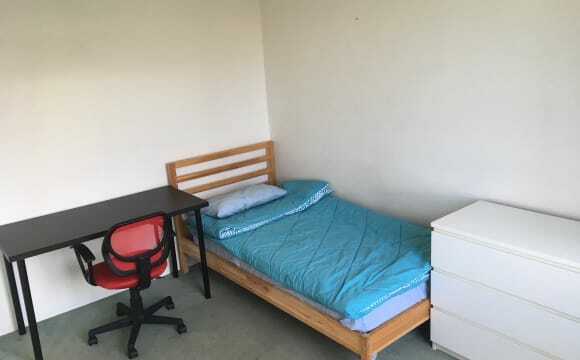 King sized room with a Queen bed, double wardrobe, small office desk and side table. This house has modern amenities by way of washer and dryer and reverse cycle air conditioning in the loungeroom. This is a home that feels just that - homely. Located super close to bus stops to the city, Randwick shops, UNSW and Prince of Wales Hospital, cafès and cinema at the Spot. Strictly on street parking is available. There is no garage or carport. This is a private, clean, respectful and professional household. The bedroom has a lock on door for your own peace of mind. With that said, I am a private and respectful person. I appreciate my space being respected as I am sure you would yours. It is a Shared bathroom - it's always clean. I have a cleaner who is here once a fortnight for 2 hours, at the cost of $80 per month between both of us. The cost of the electricity and gas when they fall due, each quarter. The high speed cable internet is $52.50 per month each. Smoking is OUTDOORS only and will not be tolerated inside. I like to socialise and spend some time with housemates. I can also be a little bit quiet. I am looking for someone who's looking for a home, not just a room. I do like to cook sometimes and when I do, I normally have a lot left over and am happy to share. Drop me a line if you'd like to come check it out 😀 If you are male, you will NOT be responded to. Please don't waste your time or mine in emailing me. This are a female Only Home. Firstly let me say we love our apartment! 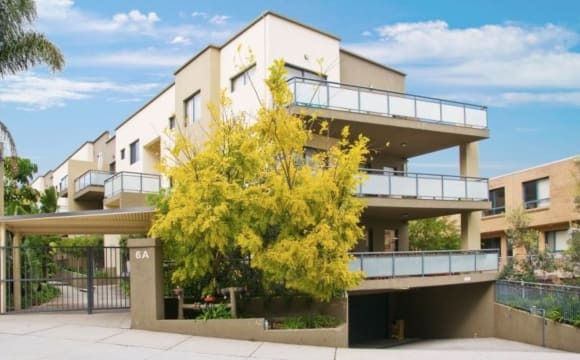 It is located across from Queens park with city views and so close to Centennial Parklands. The balcony is perfect for entertaining (BBQ, tables and chairs) and the overall feel of the apartment is relaxed and homely. The whole living/dining area is very open and will be great in winter with the afternoon sun you can soak it all in. Unlike most Sydney apartments there is an internal laundry and (TWO) balconies (I use one just for drying laundry). Whats nearby? Literally 50 metres away there is a great Italian restaurant just opposite a great coffee shop with a park for the kids. Closest beaches are Bronte and Clovelly beach (famous for beautiful snorkelling).You will also be close to the infamous Bondi beach too but further enough away for you to get a decent nights sleep. The city is only 25 minutes away via public transport. 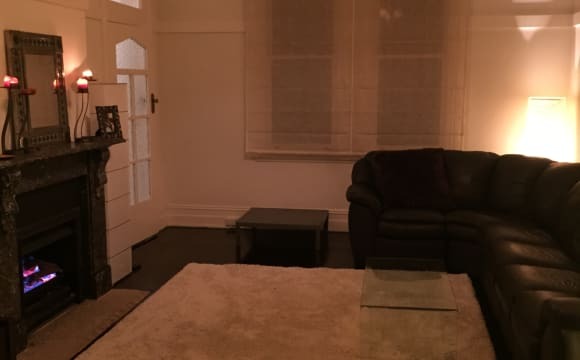 (Airport is close and Randwick hospital too, we understand it can often be difficult to secure long term, affordable stays near the hospital) The place will come fully furnished - however we will remove most of our personal effects so that you can make the place your own. 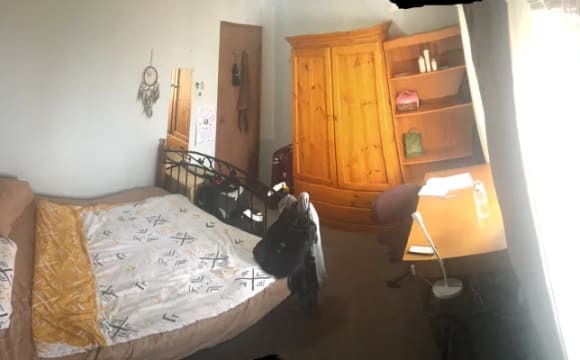 My apologies for the images of the second bedroom..... (hubby's office) you have my word it will be decluttered and set up as a fully functioning room, I only posted the image to give you an idea of space and layout. Some house rules: No pets, no smoking or wild parties - this is still our home and we trust that all applicants will respect the space and our neighbours. We'd prefer to share our space with a family or a couple but will consider all applications fairly. Furnished modern executive style apartment located in one of the most exclusive parts of the city for proximity and beach side living. Features new solid timber floor in lounge, tiles and timber floors throughout with massive outdoor entertaining areas . Situated at the bottom of a quiet cul de sac with ample unrestricted parking The main bedroom has the luxury of two built in wardrobes. It also contains a near new top of the range Sealy Posturepedic queen size bed. The bed has always been covered with a mattress protector. The apartment also has two large balconies off the living areas. The front one being a large open uncover entertainers patio. 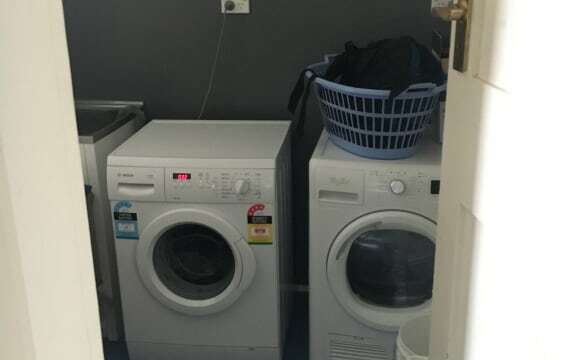 There is also a modern kitchen and bathroom, security intercom and internal laundry. Centrally located one block from Queens Park and Centennial Park. Express buses at the door directly to the city. Within walking distance or direct bus to University of NSW , Prince of Wales/Royal hospital for women ,Bondi Junction (trains ) and direct access to Clovelly/Coogee beaches. $250 . Willing to sign 1 or 2 month initial agreement as preferred . You will be taking my room over while I am overseas. The room will be available from the 20 of May Approximately. Overseas university students welcome. , will accept smoking in the outdoor areas. Contact me directly ASAP to arrange an inspection. With this property you occupy an entire floor to yourself. You have your own bathroom and only share a kitchen and laundry. 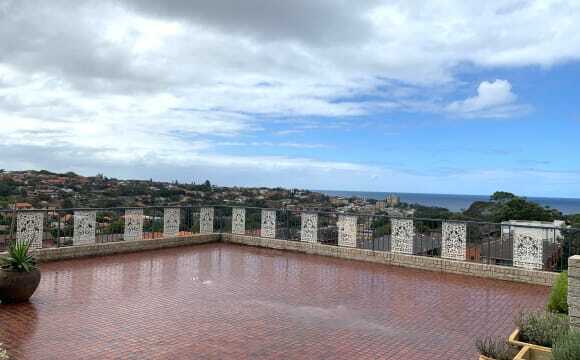 The property has amazing uninterrupted views over Coogee from this enormous terrace. Almost fully furnished, the property only requires you to provide a bed. All other furniture including a TV and Fridge is provided. A very unique opportunity as it is almost like renting a private apartment is a desirable location The successful applicant will be a non smoker and will not have any pets. Our preference is for a couple to occupy the premises.